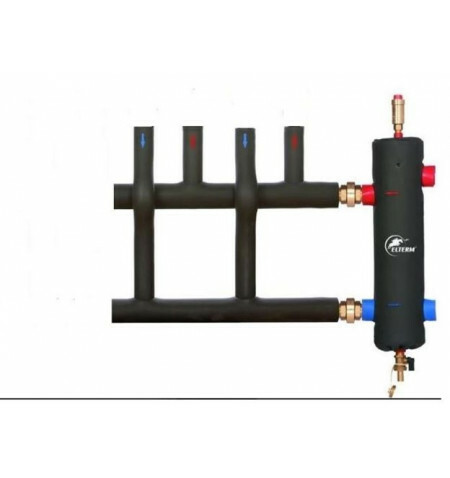 Low-loss headers, also known as common headers, are now one of the most useful components integrated into a heating system. 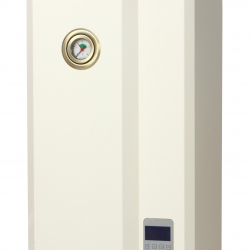 These devices work best in heating systems where boilers are connected directly to loads, as they can have a variable flow rate. 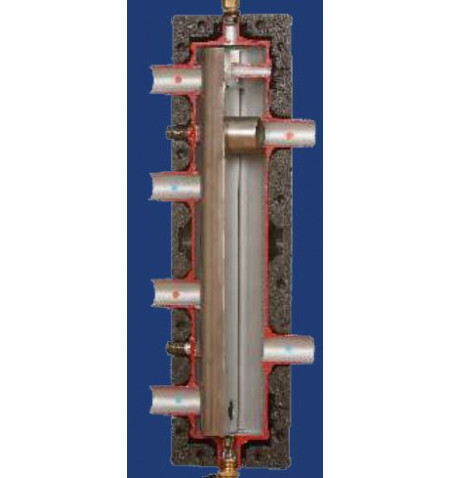 Low-loss headers serve as the means of providing hydraulic separation of primary and separately pumped secondary circuits, which can help mitigate the fluctuation of flow rates. 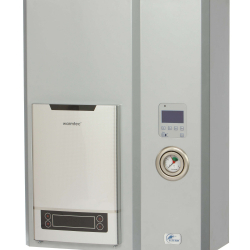 With a low-loss header, boilers can operate on a reliable, constant flow-rate, which helps greatly extend the boiler's lifespan. 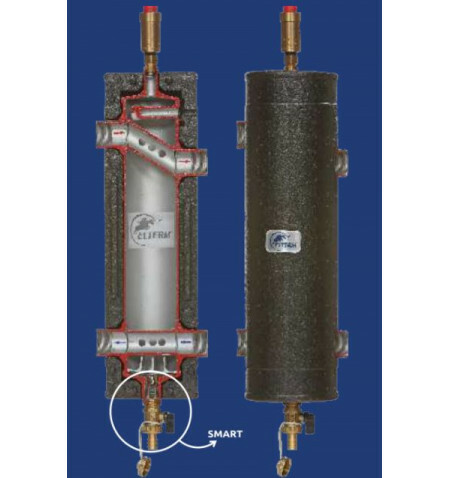 Installed vertically, low-loss headers can help with collecting sludge from the system, making the maintenance of a heating system far more manageable. 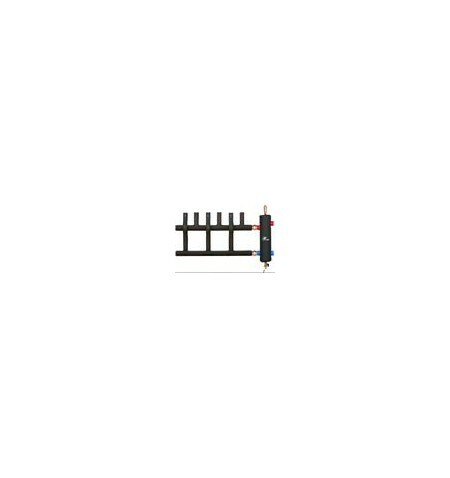 Culm Stores offers a great selection of low-loss headers, with some of the best products on the market, manufactured by Elterm, the leader in the field, offering innovative solutions. 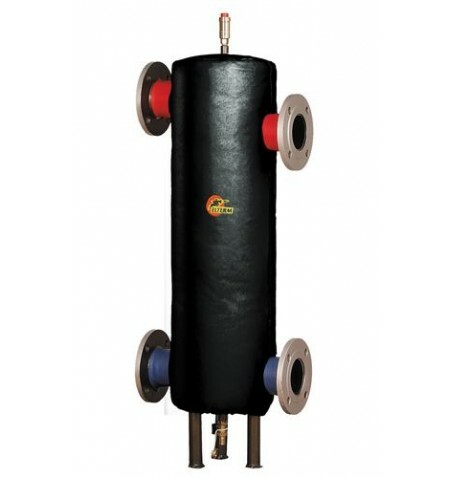 VERTICAL Distribution Low Loss Header 40kW 1"
1" Low Loss Header + 2 Way insulated Manifold 1"
1" 40kW Coated Low Loss Header + 2 Wayinsulated Connecting Manifold with female threaded tappings. 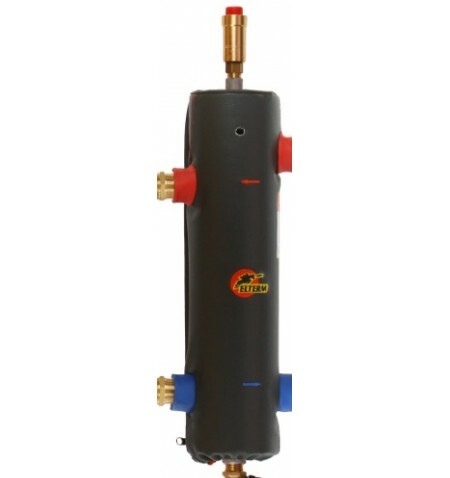 5/4" 70kW Coated Low Loss Header + 2 Way insulated Connecting Manifold with female threaded tappings. 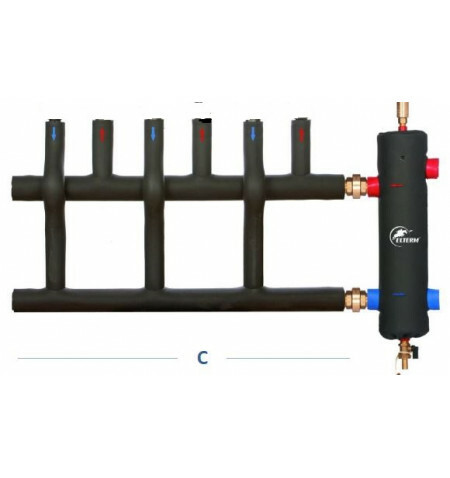 1 1/4" Low Loss Header + 3 Way insulated Manilfold 1 1/4"
1 1/4" 70kW Coated Low Loss Header + 3 Way insulated Connecting Manifold with female threaded tappings 1 1/4"
1 1/2" Low Loss Header + 2 Way insulated Manilfold 1 1/2"
1 1/2" " 100kW Coated Low Loss Header + 2 Way insulated Connecting Manifold with male threaded tappings 1 1/2"
1 1/2" Low Loss Header + 3 Way insulated Manilfold 1 1/2"
1 1/2"" 100kW Coated Low Loss Header + 3 Way insulated Connecting Manifold with male threaded tappings 1 1/2"
2" 115kW Low Loss Header + 2 Way insulated Manilfold 2"
2" Low Loss Header + 3 Way insulated Manilfold 2"
2" 115kW Coated Low Loss Header + 3 Way insulated Connecting Manifold with male threaded tappings 2"
2" 156kW Low Loss Header + 2 Way insulated Manilfold 2"
2" 156kW Coated Low Loss Header + 2 Way insulated Connecting Manifold with male threaded tappings. 2" 156kW Coated Low Loss Header + 3 Way insulated Connecting Manifold with male threaded tappings.